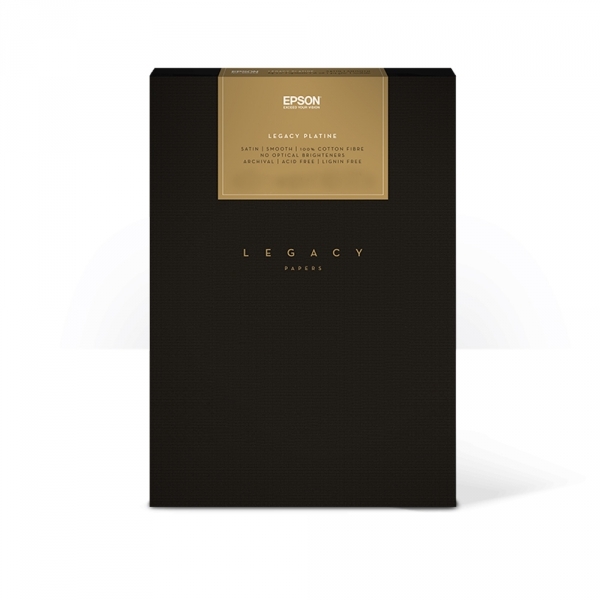 Epson Legacy Platine is a 100% cotton fibre paper with a white, smooth satin finish. This paper combines the look and feel of the revered silver halide F-surface with a true cotton base. It has an industry leading microporous inkjet receptive layer that produces deep, rich blacks (Dmax), expanded color gamut and gentle tonal gradations and will provide outstanding image permanence and durability.